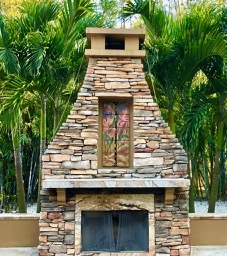 One of the beautiful experiences in Florida living is our outdoor spaces. A client in St. Petersburg wanted to fill her outdoor fireplace niche with a sculptural wall mural. 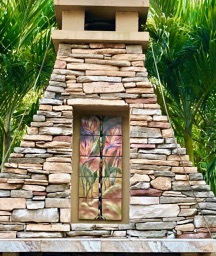 Together Diane and I designed this bird of paradise, to fit in perfectly with her lush gardens, pearl blue pool and relaxing outdoor living room.